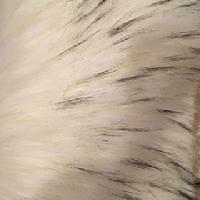 This is a brand new fur that is categorized as "fox" in a pure white color with whispy black tipping throughout. The tipping in no way is overpowering and the fur is shiny and soft with a beautiful feel and fluffly appearance. The pile length is approx two inches, perhaps a tiny bit less, and it is pure white for the most part with the lovely tipped ends giving it a very realistic appearance. No picture can do this fur justice. It has such a nice fluff to it that it would work well in any application. Very high fashion as a hat trim, cape, boot topper, pillow, etc. 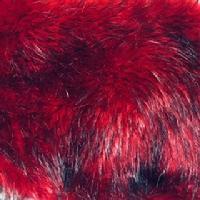 This is a brand new beautiful fur in a lovely garnet color with black tips. The pile length is approx two inches, perhaps a little more, and there are guardhairs. The fur is soft and dense with a beautiful sheen. It is a very fashionable fur in a garnet red which is striking by itself but then there are deep black tips that offset the color and create a stunning fur. 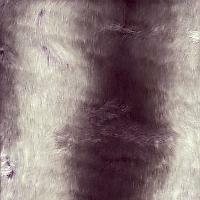 You can use this fur for any project where you want to set yourself apart from others. 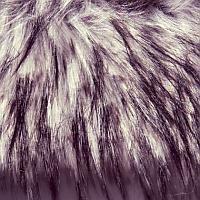 This is a brand new beautiful fur in a lovely high fashion deep purple color. The pile length is approx one inch, perhaps a little more, and there are guardhairs. The fur is soft and dense with a beautiful sheen. 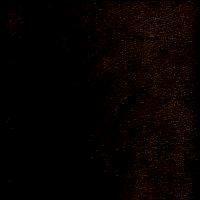 It is a very fashionable color that can be used for any project as the color is not a blinding purple but a very deep pure purple that is hard to find in a fur of this quality. 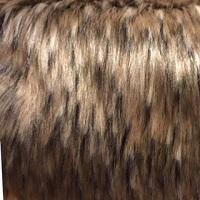 Strikingly beautiful, this is a fashion forward fur that is soft, elegant, and amazing!! 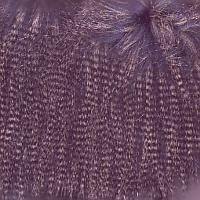 This is a feathers type of fur that has navy blue as a base and the longer, "feathers" part has some smokey black and taupe intertwined with a lighter blue. These furs are always difficult to explain but safe to say that this would work well with collars and cuffs, pillows, hats, scarves, etc. While this is a feather type fur, it is very, very soft and has a lovely sheen. The feathers are very subtle, not thick or choppy so the fur has a very pretty effect. Please note that this is a bit difficult to explain especially the colors but it is extremely similar to the old dye lot except the feathers are softer and not as dark. 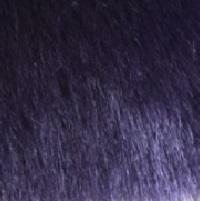 This is a brand new beautiful fur in a lovely steel grey color. The fur is shiny, dense, soft, luxurious, add any adjectives that you want this fur has it all. The pile length is a little over an inch and it has a wonderful drape and can be used anywhere. Please note that this is not exactly the same as the other deluxe plush furs as it is has a little longer pile and lays a little differently than those below. 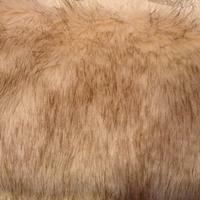 This is a very soft and beautiful fur that has a taupe base and ivory tips. The fur is soft and did we say soft?? It is really supersoft and just looks and feels like a cottontop bunny. The pile length is approx one inch and there are really no guardhairs to speak of as it is blunk cut accross which shows off the base color beautifully. Another must see fur. This is a brand new beautiful fur in the same color group as the old Wolverine Gold only not so much of a high low pattern. While it is lovely and basically the same type of fur it will not match up exactly pile wise with the Wolverine Grey but will still look lovely. We are trying to find a grey tone in the same fur and we will see what happens but for now we only have the gold. This is a high fashion fur that can be used anywhere. NOT the same fur as the Wolverine Gold above but in a beautiful array of silvers and greys with black tipping with more of a high low pile. This is a brand new beautiful fur that we cannot describe. We can say that it is supersoft and feels like heaven but the pile is a little tricky. The fur is a two tone (or maybe frosted would be a better term) grey and very pale ivory-almost white undertone and a crushed pile would be the best description we can think of. The pile is about 3/4 inch but it is a high/low which means that there are plushier parts than others. Whatever you want to call it the fur is fantastic and would work for any project you can think of. 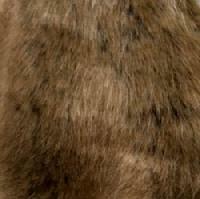 Again due to the nature of this fur we strongly suggest seeing a sample as no picture can show this fur perfectly. This is a beautiful new fur with a base coat of creamy tan and then there are brown tips. The pile length is approx. 1.5 inches and there are guardhairs. 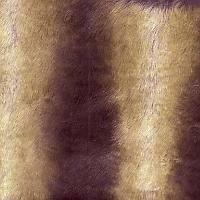 The fur is soft with a lovely sheen and beautiful drape. This fur can be used anywhere. This fur just arrived and it is so very lovely. It is a shorter fox type fur with a pile length that is a little more than an inch and the base color is a golden tan which blends into a rusty gold and then a warm brown. PLEASE NOTE THIS FUR IS DARKER THAN THE FIRST DYE LOT. It is very soft and plush with a wonderful backing and a nice drape. This part is hard to explain as while the fur is not spikey or clumpy it has the look of a realistic pelt when folded like hair standing on end. It is not possible to show how pretty this fur is in a picture as the nuances of the colors cannot really be appreciated. 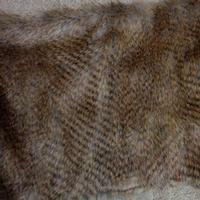 I cannot think of any project where this fur could not be used so we are very happy to be able to offer this fur. This is a very, very thick dark grey Bear (not teddy bear) fur that is very realistic, plush, and animal like. 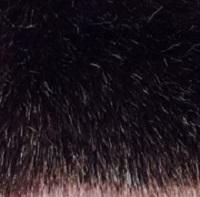 The fur has a slight shimmer to it and there are guardhairs. The pile length is "approx" 1.5 inches perhaps a little more. 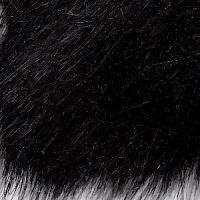 This fur would make a wonderful black bear costume, sculpture, hat, stuffed animal, etc. This is a very, very thick Black Bear (not teddy bear) fur that is very realistic, plush, and animal like. 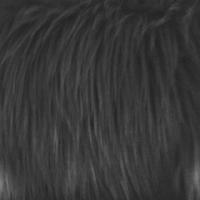 The fur has a slight shimmer to it and there are guardhairs. The pile length is "approx" 1.5 inches perhaps a little more. This fur would make a wonderful black bear costume, sculpture, hat, stuffed animal, etc. This is a very realistic polar bear style faux fur-very similar to the Black Bear but in a Polar Bear ivory color. The pile is basically the same but the ivory fur is a little softer than the black-probably due to the fact that the black dye tends to make some piles a little drier. you can use this fur for a fantastic bear skin rug or a realistic stuffed dog or any sort of costume, etc. The two new bear furs are really very realistic furs so let your creativity run wild. ACTUALLY WE NOTICE THAT THESE IN PICTURE FORM LOOK JUST LIKE ANY OTHER BLACK AND/OR IVORY FUR SO WHILE WE WILL GET THEM ON THE SITE YOU PROBABLY WILL NEED TO SEE A SAMPLE BEFORE YOU ORDER. THE IVORY IS EXTREMELY THICK WITH A PILE LENGTH OF ONE INCH BUT THERE ARE ABUDANT GUARDHAIRS AND THE FUR IS VERY PLUSH. THE BLACK IS ALSO EXTREMELY THICK WITH GUARDHAIRS BUT IS SOFTER AND SHINIER THAN THE IVORY. THESE FURS ARE EACH $42.00 PER YARD. 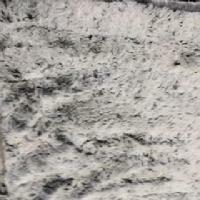 The thick pile black $42.00 per yard is a more than adequate substitute-it is not pictured as it looks the same as this fur. It is higher price because it is a different fur from a different supplier and is soft and quite dense-please see paragraph above. HF-New Deluxe Plush/Coppery Bronze-$38.00 per yard--this used to be called Copper since that is what the supplier called it but it really is more of a Coppery Bronze so we apologize for the confusion. 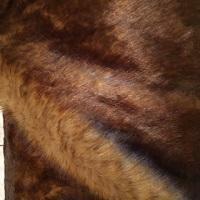 The fur is multitone and depending on the lighting it can look Coppery and then it can look like Bronze. Same as the deluxe plush silver grey and dark auburn but in a beautiful two tone bronze color with a lovely sheen. Again and we are sorry, but the fur is very difficult to show in a picture as there are beautiful shades of bronze with a deeper base color but safe to say it is outstanding. Same pile type as the other deluxe plush furs and same super luxurious pile but this is a wonderful example of why you need to see a sample before you order. This is one of our new high fashion furs that has just arrived. The color is a beautiful dark auburn which is a deep reddish brown. It is very difficult to get a perfect picture of the color so you may want to see a sample to determine if it will work for your project. This is the same type of deluxe plush as the others above. 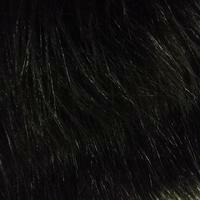 This is a brand new beautiful soft fur that is a very dark brown/black color. The pile length is approx. 3/8" and it is as soft as butter with a lovely sheen and nice backing. You can use this fur anywhere but it is so soft that it would work well with pillows, hats, scarves, etc as it would not be rough against your skin. Please note that this is just a solid dark color so it doesn't look like much in the picture but feeling this fur can still not be done online yet. We could not wait to get this fur on the website-it is so beautiful! The pile length is approx. two inches and there are guardhairs. While the fur is a blend of golds and creams we must note that the base color is medium grey so you really would need to see a sample as no picture can do this fur justice. It is just a beautiful fur which can be used anywhere. 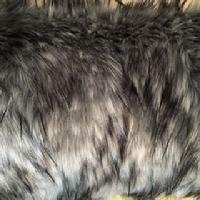 NOTE-THERE ARE SHADINGS THAT ARE SIX INCHES APART WHICH ARE DARKER AND GIVE THE FUR THE LOOK OF STRIPES- WE SUGGEST GETTING A SAMPLE BEFORE YOU ORDER TO SEE IF THIS FUR WILL WORK FOR YOUR PROJECT. THERE ARE NO GROOVES TO THE FUR SO IT IS NOT LIKE A PELTED MINK IT IS JUST THE SHADINGS GIVE THE FUR THAT APPEARANCE. IT IS DIFFICULT TO CAPTURE THIS IN A PICTURE BUT WE CAN SEND YOU FEW PICTURES SO THAT YOU CAN SEE THE FULL PATTERN OF THE FUR. 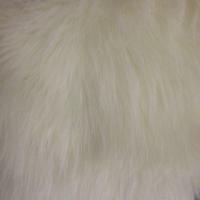 IT IS TRULY LOVELY BUT YOU NEED TO SEE A SAMPLE AT LEAST ASK US FOR SOME PICTURES BEFORE YOU ORDER AS FURS ARE NOT RETURNABLE AND THIS MAY OR MAY NOT WORK FOR YOU. This is a beautiful feather fur with a base color of charcoal grey and the feathers are golden brown with bands of grey and hints of cream. It is very difficult to explain so a sample is strongly advised. The feathers are, well, very feathery and have a lovely pattern to them. The pile length varies as the feathers are clumpy but around 1.5 inches. This is a striking high fashion fur that can be used anywhere. 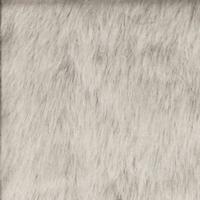 This is a superior quality fur in a beautiful beige color with the tiniest tint of grey. The pile length is approx. one half inch and there are guardhairs. The pile is superplush, supersoft, and has a lovely sheen. 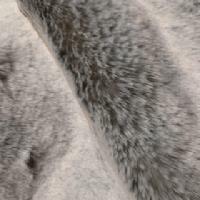 It is an extremely realistic fur that can be used anywhere and no picture can do this fur justice. NOTE-THERE ARE NO GREY HAIRS MIXED INTO THE FUR. THE HUE OF THE BEIGE HAS A TINY, TINY GREY TINT TO IT LIKE A BABY FOX WOULD HAVE. This is a soft and plush Chinchilla fur that does not have a sheared look but has consistent length throughout. 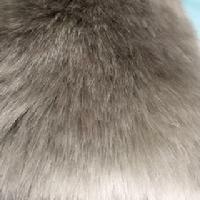 The pile length is a little over and inch and the base of the fur is a soft grey but the chinchilla pattern is shades of golden brown along with some grey and cream. As it is a chinchilla pattern it is difficult to explain the coloration in text or capture in a picture but this is one very pretty fur. Basically the same fur as the Brown Chinchilla above but in lovely shades of Grey. This fur really does need to be seen as we are not quite sure about the color. First thing, this is a high fashion, soft pile, coyote fur with a pile length of approx. three inches. Now comes the tricky part-the base color seems to be black, but there is a definite hint of navy blue there so we are calling it blue black to play it safe. The blue black base then turns to a silvery white and there is also brown and more blue black mixed in. It is a very thick beautiful fur-you just need to decide the color for yourself so please see a sample prior to ordering! 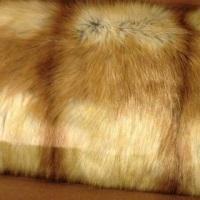 Again, while this is a new fur, the supplier only had a limited supply so we only have a limited supply also.